Three J NYC Founder Alexandria McLeod told us she launched her own sleepwear label after realizing that so many of her favorite childhood memories occurred while she was wearing pajamas. 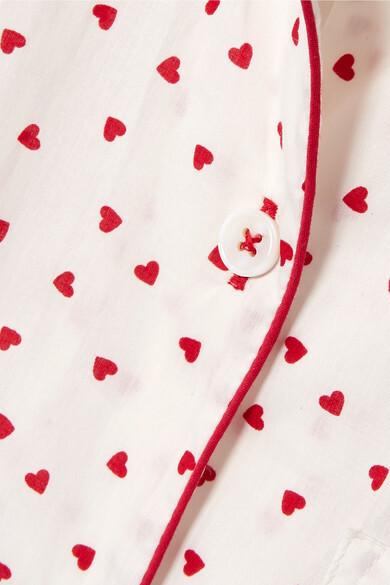 Scattered with hearts, this 'Murphy' set is made from light and breathable cotton-voile edged with red piping. The shirt fastens with lustrous mother-of pearl buttons, while the pants have a comfy elasticated waistband.